A blog dedicated to music reviews which has risen from the ashes of Leonardslair.co.uk. Friend or follow the Facebook page on https://www.facebook.com/LeonardsLair. Perhaps slightly frightened that they had acquired so much attention, the third album from Hot Chip is a strangely unfocussed affair. In a reflection of its title, it’s a record that seeks solace in the corner of the room, content to beaver away with some unfashionable toy synth melodies. There’s no doubt this is an album for the follower of electronic experiments. It flirts with pop but even the single ‘Ready For The Floor’ doesn’t particularly stand out; its subtle, bouncy tune is still unassuming even after a few spins. Likewise, it’s follow-up ‘Shake A Fist’ deviates in to some seriously weird patterns. Surprisingly it’s the rattling rhythm and uptempo sounds of ‘Touch Too Much’ which is the most immediate moment here, followed not far behind by the equally extroverted ‘One Pure Thought’. 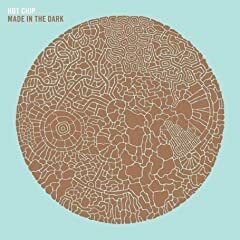 One of the most engaging characteristics about Hot Chip has been their warmth and much of that is provided by Alexis Taylor’s soulful vocals but it isn’t until five tracks in that we hear him in vulnerable form for ‘We’re Looking For A Lot Of Love’; easily one of the most endearing songs on offer. His next vital moment is saved to the penultimate track for the almost tearful ‘Whistle For Will’. On the debit side, the title track is a dull ballad by the quintet’s standards. Meanwhile, with bonkers beats and nerdy vocals to the fore, ‘Bendable Poseable’, ‘Wrestlers’ and ‘Don’t Dance’ may be the sound of a band having fun but it’s hard to find a reason to listen to them again. No one could accuse Hot Chip of selling out. This is a brave and unusual record which celebrates the band’s quirkiness and idiosyncracies but it also lacks cohesion and a consistent run of great tracks. Nevertheless, ‘Made In The Dark’ still featured prominently in the best of year charts in the popular press and they continue to gain the critical and commercial success which so many other bands find elusive. With his intense stare, tousled hair and slung-back tie, Patrick Wray looks every inch the serious musician. 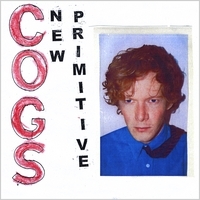 Indeed, his tastes for post-punk, the industrial scene and general chaos inform much of ‘New Primitive’, the second release for his Cogs project. It’s scarcely necessary to say that the contents within fit the “challenging” label but the adventurous will find much to enjoy here. Initially Wray seems determined to sound as atonal as he possibly can. “I’m gonna run you over” is shouted like a very believable threat on the raw ‘Car’ but this is a lullaby compared to the track which follows it, the caustic, abrasive and downright tuneless ‘Piss Flower’. Thankfully, not everything sounds like an exercise in suffering. Set to an addictive and insistent rhythm ‘Cul De Sac 4’ is a twisted variation on 60’s beat groups. There are also subtle homages to Wray’s heroes of the industrial movement. For all its discordant piano work, ‘Military Fantasist’ is rescued by an urgent and quite soulful vocal from Wray and an arrangement which reminded me of This Heat. ‘Chemical Factory’, meanwhile, employs a Cabaret Voltaire-style chugging beat. In typically contrary fashion, two of the best tracks are saved to last. The pots and pans rhythm of ‘Stuck In A Room’ is joined by a synth backing which gradually grows in eeriness until it’s all-encompassing. Then, if that’s not enough, Wray performs his wounded falsetto routine for the flawed beauty that is ‘New Year Black’. I would certainly classify ‘New Primitive’ as a difficult album. It seems deliberately designed to provoke a reaction of some sort even if it’s sheer hatred. Yet I listened to it with broadly positive ears as the invention and passion shown in these songs and pieces is undeniably compelling. Heartily recommended for those who find These New Puritans a little too mannered and stylised. The details of a fascinating interview with Patrick Fitzgerald have just been posted on [SIC] Magazine . The questions were posed by Brett Spaceman from [SIC] and yours truly. Please check out the interview. Patrick gave some very informative and frank answers about his music career; encompassing both his work with Kitchens Of Distinction and his current solo project under the Stephen Hero moniker. I am intending to do some more interviews in the future, either with [SIC] Magazine or just for this blog. Either way, details will be posted here so you won’t miss anything. Between 1997 and 2004 Chris Baldwin and Tom Coogan were members of the band Hirameka Hi-Fi, who released several records of noisy, distorted rock. Nowadays they use another Japanese-sounding moniker but their music couldn’t be more different. 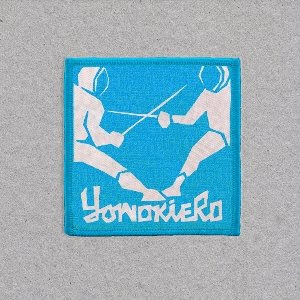 The result is ‘Blue Apples’ by Yonokiero, an occasionally dramatic but predominantly relaxed affair which concentrates on lo-fi melodies. After the country-folk whimsy of ‘Invitation To Malmo’, Baldwin and Cooper find their feet on the excellent ‘Rare Bit’; the perfect mix of edgy guitars and dark yet breezy harmonies. Haunting vocals are also the key to ‘Casey Jnr.’ and the bewitching title track except here the setting is acoustic. ‘Tsuris’ emerges from the shadows after some quiet verses, to present a warm uplifting chorus whilst the instrumental ‘Cuddly Dominion’ and vulnerable closer ‘The Test Dream’ maintain quality control right to the end of the record. By virtue of its home recording and the style of music performed, ‘Blue Apples’ is a very intimate record. This simplistic production could have diminished the material but the duo are canny enough to colour their tunes with snatches of harmonica and brass instruments and – after a couple of listens – it’s obvious that every pluck of the guitar has been carefully thought out and every lyric is sung with a lot of feeling. Complete changes in musical direction aren’t usually advised for musicians but Yonokiero are a happy exception to the rule. Burning Codes is a new act from Belfast which revolves around the talents of singer/songwriter Paul Archer. Having recently earned the right to be the support act for a Snow Patrol gig as well as contributing to a previous album of theirs, the patronage of such famous friends certainly won’t harm Archer’s chances for future success. Yet the music is far removed from any epic rock ideals. Instead it’s an album of quiet warmth; perfectly suited to the cold Winter months. Languid, psychedelic guitar jangle and gentle harmonies are the order of the day on Archer’s debut. For the gospel-tinged ‘Away’, ‘Light Is Coming’ and ‘Go’, the effect is suitably hymnal. Then there’s a couple of rock-orientated songs. ‘Cloak & Dagger’ rides in on an insistent riff as the vocals soar whilst the guitars, for once, grind angrily for ‘Circles’. Whereas the efforts of the (not totally dissimilar) Spiritualized have a tendency to become drowned in quasi-religious OTT arrangements, Archer’s intimate vocals and subtle use of choral backing is simple and uncluttered and far more moving as a result. If there is a criticism to be aimed at the album it is that many of the songs subscribe to a very similar structure and pace, with little apparent variation. Yet the songs are so comforting, spiritual and hypnotic it’s easy to picture them enticing atheists into the church. Demis Tzivis is a singer/musician born in Sweden to Greek parents. After an album sung in his native tongue, the time has come for him to make inroads on a worldwide audience with his first English language record. There’s certainly a European flourish to this confident, if slightly dated, album that rewards as much as it frustrates. ‘If You Call This Love’ is an arresting but slightly contrived opening. The European synths and aggressive guitars will certainly appear familiar to fans of Depeche Mode but Tzivis and his moody, “just got out of bed” vocal is the dominant instrument. He tends to be less interesting on the slower material; although possessed of a fine voice, his performance is sometimes undermined by unimaginative arrangements. This is particularly evident on makeweights ‘Just One Night’ and ‘My Song For You’ which sound like contenders for the Eurovision song contest, whilst ‘Angel’ – for all its carefully brushed cymbals and stark piano – is definitely geared towards a more mature audience. As a rule, the more modern the production is, the more interesting Tzivis becomes and I could have certainly done without hearing his harder-edged duet with Mattias Johansson. However, there are plenty of positives. ‘A Long Walk To Heaven’ reaches its peak in the middle of the record. ‘Forever’ is excellent; its intro of beats and haunting synths sounds important and Tzivis matches the promise with a passionate yet understated performance. The title track is almost as good. For once the subtle arrangements are well used as an emotionally bruised Tzivis gives us the full melancholic treatment. Meanwhile, ‘Let Me Dance With You’ and ‘My Life In Your Hands’ reveal he can excel at white soul too. Overall, ‘A Long Walk To Heaven’ is an interesting album but it does seem rather out of step with today’s music scene. At times, Tzivis sounds like a quality soul singer and at other times his material is reminiscent of mawkish 1980’s ballads. There’s probably a market for both kinds of music but the former style is certainly the most credible option. Picture the scene: it’s Christmas time in New York and snowflakes fall from the sky. Somewhere in the distance a bar singer can be heard. His mind and larnyx damaged by excessive alcohol consumption, he mourns the loss of a loved one. The Walkmen conjure up such images with their inebriated brand of rock and roll. And so we have ‘You & Me’, which continues the good work laid down by predecessor ‘A Hundred Miles Off’. ‘On The Water’ is the first song to get the heart beating. The band play at marching pace, a distant whistle embellishes the chorus whist frontman Hamilton Leithauser sounds as reassuringly wounded as ever. A vintage keyboard is the main calling card for the rousing ‘In The New Year’; the perfect song to soundtrack the Christmas scene I alluded to earlier. There are several other songs which draw that often elusive line between euphoria and depression, namely ‘Four Princesses’ and the awesome ‘The Blue Route’ where Leithauser’s cracked vocals of “Eleven blackbirds in the sky. A hundred fireflies at night” are given beautifully poignant sense by the grand, bruised Hollywood arrangements. Even their most off-key songs like ‘Postcards From Tiny Islands’ and the bluesy ‘Canadian Girl’ seem somehow heroic and throughout there’s a feeling that The Walkmen have been working with a Salvation Army band, adding yet more warmth and humanity to their performance. Just like alcohol, ‘You & Me’ takes time to have an effect but soon it’s diffcult not to be intoxicated by its slurred emotions and controlled chaos. This is the kind of music which makes heterosexual men embrace each other unashamedly in the cold night air.